Make The Music Stop: The Worst Songs Of 2018 That Made Us Die A Little Inside! It is safe to say that Bollywood is evolving when it comes to content-driven films and actors who are at par with world cinema. However, we are not sure whether the same can be said about some the songs that have come out lately. No matter how great a film is, the criteria for it to work is also dependent on how well its songs do. However, we're not getting our money's worth when it comes to music in the industry. Lately, Bollywood has been rehashing old Hindi or Punjabi songs, so the recycling is getting tiresome now. More than that, the lyrics have become cringe-worthy and downright illogical (think Selfish, guys). We heard so many of these silly songs this year that we have decided to list down the top worst songs in 2018. Here's a quick look at them. This song had gone on to top the charts when it had released due to its feet-tapping music and catchy beats. 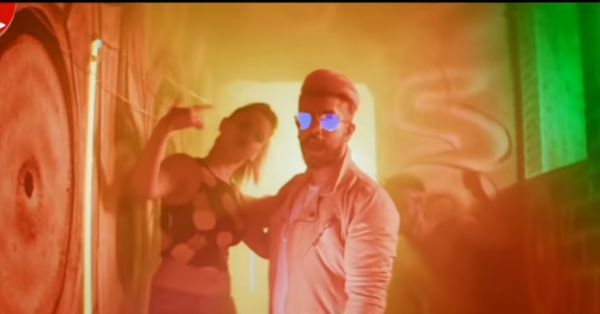 However, the lyrics made us think twice about hitting the play button on YouTube with words like "Tere chumme mein chavanprash hai, vitamin jaisa har andaz hai." Who wants their recommendations to be based on THIS song? Like what does this even mean? The song went viral right as soon as it debuted on YouTube, with the beautiful Kriti Sanon grooving to the beats composed by Badshah. However, we were left amused not by the visuals and the music, but by its outrageously sexist lyrics. Have a listen and you'll know why. While Gajendra Verma's first composition Mann Mera managed to keep us hooked for years, his latest Tera Ghata is just unoriginal. The song is a dialogue that he repeats over and over again, and clubs with a catchy tune. We wonder if he was just a one-song wonder. "Tujhse mann nahi hai bharta, ab tu hi hai karta dharta, aur tu paani tak peene na de peene na de." Do we need to say anything more? This song ticked the boxes for all the wrong reasons. If there is any song that rubs us the wrong way, it has to be this one. In 2018 when we are waking up to the news of #MeToo, there is a song that has a chorus of baby marvake maanegi. Much like most of this movie, we are not sure what to make of this song. It's a party number with a slightly twisted lyrics starring Shahid Kapoor and Shraddha Kapoor, and it will most likely leave your batti gul from repeated hearing. The original song from Humse Hai Muqabala was a classic with Prabhudeva pulling off gravity-defying steps. Sadly, this party number by Yo Yo Honey Singh made a mess of it and has left us confused as ever! Don't believe us? See for yourself. Ek baar baby selfish hoke, apne liye jiyo na... Well, we cannot say anything about this because their business is their business, none of our business. Here's another gem from Race 3. Just look at how they have integrated tattoos into the song and be amazed! This song definitely deserves a special place in this list, don't you think? The over-the-top lyrics, the raunchy dance choreography, the forced techno beats - we could go on and on.